You are the expert in your industry, so you may be wondering why you should hire a content writer to communicate your message. 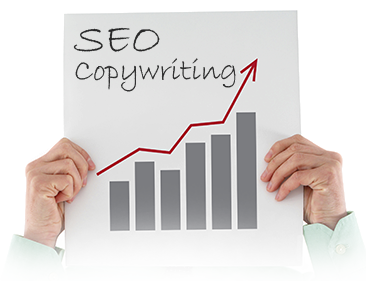 Our SEO copywriting services utilize science, craftsmanship and salesmanship to target your desired market. You need the right message displayed to your target audience, so this is not the job for dabblers or people who don't have professional experience writing for the digital market. Effective content writing ties in your search engine optimization and marketing strategy all in one in order to drive the right customers to your website. Here, at A4DM, our team is made up of professional writers who are experts in the industry, trained to know the target audience associated with different businesses, skilled in web usage and social media platforms, and can modify their content to fit your industry for optimal end results. With the ability to explain industry-specific terminology to various types of audiences, hiring a professional content writer can enhance your traffic, traction and clicks on your site. Producing high-quality SEO content is accomplished when the content engages the reader and captures their attention. Frequently adding new content to your site can help improve your site search rankings, leading to better business—when a website is updated regularly Google takes that into consideration within its algorithm. Search engines, such as Google, are growing to be more and more advanced, with the ability to recognize when keywords and keyword phrases are used too often within a block of text, when there is duplicate content across platforms, recognize poorly written content or irrelevant content on sites. Google’s search algorithm has over 200 ranking factors. With the sophistication to determine and scan keywords and keyword phrases, it is crucial that SEO copywriting is compelling, relevant and professional in order to get ranked higher on search, generate leads and enhance revenue. When it comes to website design & development, SEO copywriting is crucial for positive results. Our professional SEO content writing professionals understand the importance of using specific keywords that relate to each of your website pages individually. A4DM can provide you with a monthly SEO report that will show you, in detail, how each of your keywords are performing and how it stands next to your competition. If our team notices some of your keywords are decreasing in search ranking, we make it a priority to focus on these keywords the following month. In order to increase the ranking our content writers can create monthly press releases, blogs, white papers, and more. The most important aspect of SEO is content writing—content is king. Search engines cannot see pictures, so placing information in the form of text is crucial within the meta data of your website. While the design and functionality of your site are high priority, content helps search and allows potential or current clients to become engaged with the site.